The first time I ever saw a South Asian woman represented in mainstream media was when Mindy Kaling played the utterly ridiculous yet somehow loveable Kelly Kapoor on The Office in the mid-2000s. I didn’t even look anything like Kelly, but like me, she had a penchant for drama and her parents were from India, so I held on for dear life. It’s only very recently that South Asian Americans are seeing reflections of our experiences in the spotlight — in part, we can thank the aforementioned Mindy and Aziz Ansari for that. Yet often when the South Asian experience is explored in the mainstream, we are subject to the same tired stereotypes: strict parents, arranged marriage, model minorities, and submissive, obedient women. A decade ago, Indian American writer Piyali Bhattacharya set out to create something she saw missing from the media landscape — a collection of diverse stories of South Asian American womanhood, that explored everything from sexuality to trauma to creative expression to the complex experience of cultural negotiation. 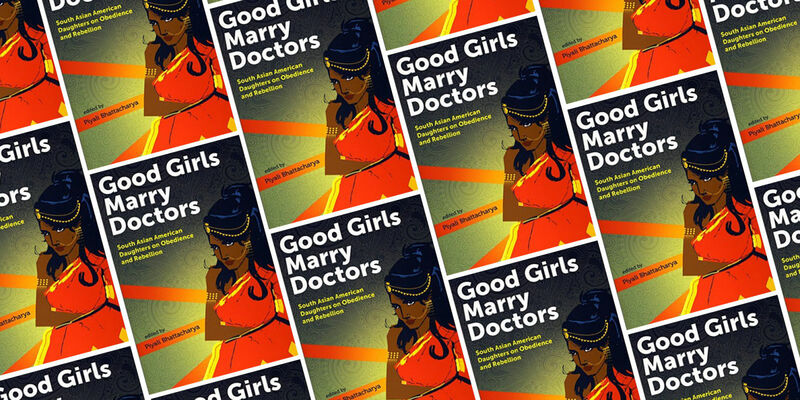 The result, Good Girls Marry Doctors: South Asian American Daughters on Obedience and Rebellion, is a luminous and far reaching anthology out recently from Aunt Lute Press with support from a National Endowment for the Arts grant. In this anthology are stories of South Asian women we don’t often see: the bad girls, the queer girls, the girls who defy stereotype and the ones reclaiming their bodies and themselves. The book, a collection of narrative nonfiction by twenty-seven South Asian American women, has received rave reviews and an astoundingly strong community response, with upwards of two hundred fans at readings in cities around the United States who are finally seeing their experiences explored and named in ways many of us haven’t yet before. For this week’s Feministing Five, I caught up with Piyali, who is the Writer In Residence at Vanderbilt University, Associate Editor at Drunken Boat, and whose work has appeared in the NYT and Wall Street Journal among others, about the process of editing this anthology, the themes within it, and what the overwhelming community response from other South Asian women has meant to her. Catch Piyali on Twitter and get a copy of the book here! Senti Sojwal: Congratulations on the publication of your book! You noted on twitter that this project took a decade in total. How amazing it must feel to have so many years of work out in the world at last. What has been the greatest challenge and the greatest joy of the process of putting together this anthology? Piyali Bhattacharya: I think the greatest challenge and the greatest joy are actually very linked. When I first started the process of creating this book, I was told by many people including publishing industry professionals, that this wouldn’t work. That not only would a book of stories for and by women of color be non-marketable, and that a book like that wouldn’t find an audience, but that I wouldn’t even find enough voices to write such a book. In some ways, they were right in that it took me a very long time to find that community. I’m not entirely sure what kept me going. I think the idea of not being able to find that community was unacceptable to me, the idea of not being able to find that community of Desi-American women who had been through these experiences together and wanted to express them in story form. The idea of not finding that was so sad to me, so I went on a quest. It took a long, long time. One thing I say about the book is that it was as much about creating a book as it was about creating a community and resource for women like us. It was really about finding these women, finding their voices, working with them on their essays. It was all quite challenging. Also to find a prestigious press who wanted to take this on and wanted to support us. It took a large chunk of my life. But we really did it — we really found community for ourselves. And now I have, and I hope others do as well, this support network of women writers who they go to for everything from fashion advice to help with dealing with our emotional lives. Finding that community is so remarkable. And that community is not just the writers of this project, but the readers too. The most amazing thing to me has been watching the book become a lightning rod around which communities have rallied. At the readings we’ve done across the US, from New York to San Francisco to LA, we’ve had over 200 people at those events. In LA, we had over 400. Each person finding community in these words and in each other. That has been incredible. Senti Sojwal: Yes! Something really notable about Good Girls Marry Doctors is the sense of community it’s given birth to among South Asian American women, many of whom are second generation immigrants. While there’s a lot of scholarship on the first generation experience post-1965, there is only just beginning to be real exploration of the experience of being a second generation South Asian immigrant. What is the feedback you’re receiving from other South Asian American women about the experiences in this book? Piyali Bhattacharya: One of the things that was difficult about this book was not only getting it published, but it was difficult to get it critical attention once it was published. I had to push hard to get the book reviewed and get it to be “seen”. As the community has been buzzing about the book, the critical reception has ramped up also. That’s not a coincidence. A lot of the people championing the book and writing reviews are women who have felt they have needed this book. One remarkable thing is that after the book readings, I have lots of South Asian American women who come to me, and also write to me, specifically thanking us for putting this work out there and being brave enough to speak our truth. For providing our stories as South Asian American women. Our community is one that is largely invisible in this country. I think for those of us who have been looking for a space like, looking to be seen and heard, this feels new and validating. Senti Sojwal: The anthology has such a great balance of sharing these wide and varied experiences of South Asian American womanhood while also illuminating certain similarities within the diversity of stories. I feel like the most prominent way these stories are similar is in women’s negotiations with their parents, primarily around sexuality and dating. Did you anticipate that being such a strong theme in the book? Piyali Bhattacharya: I did sense that that would be one of the strong themes. I really appreciate what you said about the diversity because one of the things that was really important to me was that this book not become one note. I really wanted it to have voices from a large spectrum of the community. I wanted it to be about so many different things and stories and background. I think we’ve been able to achieve that and one of the reasons I think this book has made a difference in people’s lives is that it doesn’t really have an overwhelming focus on one particular theme. Love is certainly a theme, as is parenthood and career. There are also stories that are completely not of that realm. I think people are really surprised to see some of the stories that are more unexpected, and are surprised to see themselves in them. Senti Sojwal: I really appreciated the highlighting within the book of experiences of being queer and South Asian. Queerness is still something that is really feared and taboo in many of our communities and families. What is your hope for what a book like this can do for young queer South Asians? Piyali Bhattacharya: One thing that was remarkable to me is that I thought I would have to do a fair bit of managing of what kinds of stories were put in the anthology so there wasn’t too many of one thing, but the thing is that our community is so beautifully broad. Usually when someone was interested in writing, we would have a conversation about what they were interested in writing about. In that conversation a lot of really interesting things would come to light. The kinds of stories people were willing to write and had in their back pockets was so astounding to me. I think that what I would particularly want for queer readers is to know that they’re not alone. Not only is there a community out there, but there’s one that’s as diverse as you are. The queer experience isn’t a monolithic experience and the South Asian American experience isn’t a monolithic experience. I hope that the book does what it can to illustrate to queer South Asians that not only is this community there for you, it’s there for you in many different ways. Senti Sojwal: How have you spoken to your own parents about the process of writing this book? You speak in the introduction about how so much of us sharing our experiences as South Asian American women is tied to shame and feeling burdens around our relationships to our parents, even as we love and appreciate them. Over the course of putting this book together, what was your own relationship with your parents in relation to putting these stories out into the world, knowing they might disapprove of some of what’s being said? Piyali Bhattacharya: I think that I am a very lucky person in the sense that I have a wonderful, open and honest relationship with my parents. They have always been extremely supportive of my writing career, and we may have had our slight disagreements about this book, and had to have conversations about it. However, when I told my father about what I wanted to do, his first words were, “You have to write your most honest truth and it will be beautiful.” He said that knowing he may disagree with me, but how important it was for me to write my truth. I really appreciated those words from him. My mom has been completely supportive of this project. She came to my reading in New York just to be there for me and support me during it. Again, it’s not like we haven’t had tough conversations about what this book means for us and for our family and for me specifically. I think in some ways the reason I was able to be the one who put this book together was that I had their unfailing love and support. They gave me what I needed to do this for others. I took on this work for the community and I felt I was able because of my parents’ support. I lost my father to cancer about ten months ago. He was young and healthy and I was very close to him. His disease came on very quickly. It took him so suddenly. It was really hard to think about this book in that moment as he was leaving us. After nearly ten years of work, the book was finally coming out and my father had just left. It was so complicated for me personally — it felt like I wasn’t going to be able to share it with him after he had been such a champion of me and my work as a writer. I wasn’t ever going to be able to put the book in his hands. I also felt like I was losing a part of myself and I wasn’t sure how I was going to feel about that when the book came out. It was really the community that rallied around me during my father’s illness, his passing, and the release of the book. That community of women writers I found through the book are the ones who held me and the ones who have brought all the joy back into this work. 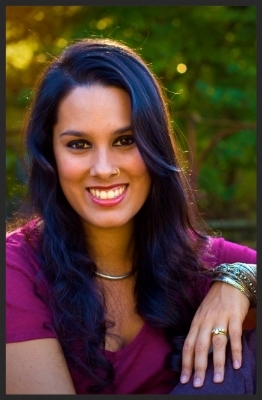 Senti Sojwal is an India born, NYC bred writer, reproductive justice activist, and feminist organizer. 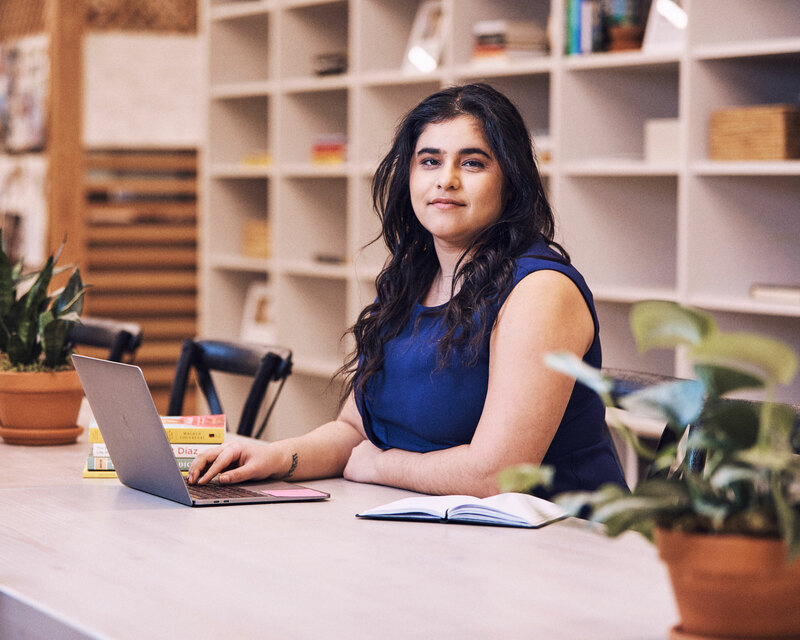 She graduated with a BA from Hampshire College in Gender Studies & Politics and has written on feminist issues for Mic, Bustle, and What NOW, the blog of the National Organization for Women's NYC chapter. 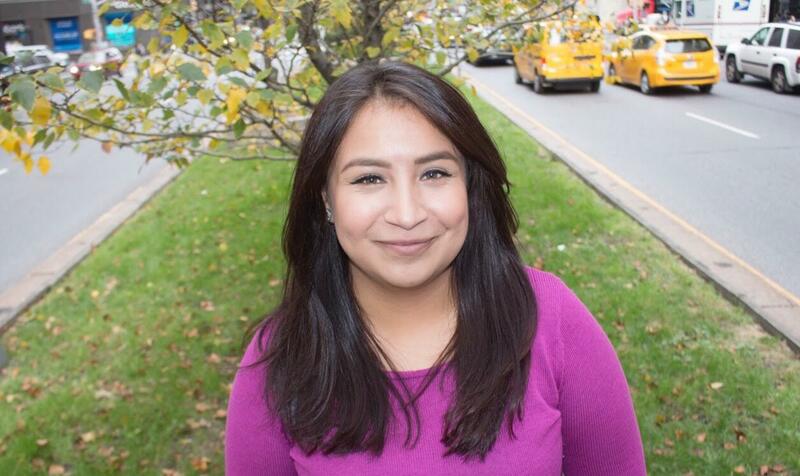 She is currently pursuing her MPH at NYU's College of Global Public Health and works as Communications Coordinator at Planned Parenthood of New York City. Senti loves 90s pop, a bold lip, and is always hunting for the perfectly spicy Bloody Mary. She lives in Brooklyn. Senti Sojwal is a writer, reproductive justice activist, and feminist organizer based in Brooklyn, New York.